For the best home theatre atmosphere, having the right TV is key! 65-inch TVs are perfect for a home cinema set up, and there is a huge variety of 65-inch TVs to choose from. 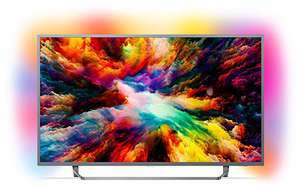 Top brands like Samsung and Sony, offer a wide range of LED or OLED screens, as well as 4K displays and Smart TVs. 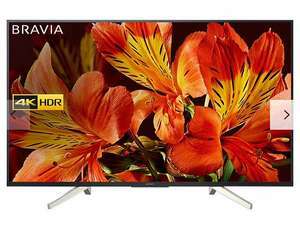 At hotukdeals, shoppers can regularly find the best deals and most recent discount codes to save on their 65 inch TVs. Go OLED or go really cheap...until OLED is cheaper. Got this one for 650 a few months back on amazon. Great display for most 4k content but the colours/display is a pain to tweak and get good colour accuracy. A black rectangle over a manufacture date? (lol) (lol) (lol) This can be replicated by anyone! This actually confirms my theory that most or all the brand names are simply a rebadged cheapo. Cello the UK TV manufacturer actually design and assemble their own TVs which are of very high quality. Personally, I would buy Cello over a Sammy or Sony as I know it is coming from a reliable and trustworthy UK manufacturer and a product manufactured and built in the UK with the highest quality materials. I don't actually mind Toshiba - my Mum's old TV was well over 10 years old when we replaced it and nothing was wrong with it at all. She has another one now and seems to like it. I was really keen on the xf90 too but they didn't have it in 43" which I needed for the particular room and the stand had feet that were too far apart for the tv unit. Don't know why they don't offer more customisation in that regard but I think you made the right choice with the xf90! That's a VA right? Also been reading up on this, having been in the market for a new TV. Basically, the black levels are heavily dependent on which type of screen panel the TV uses. However, it's not publicised by the TV manufacturers whether a TV uses a VA panel (better contrast) or IPS panel (worse contrast), so it's left for the technical websites and general public to work it out. I looked into the Sony XF85 and XF87 series before deciding on the XF90, and what I read is that the panel type used (and therefore the contrast levels) vary depending on the size of the TV. I also read that in general across all brands, it's common for 43'' screens to use a IPS panel type. Have a look on avforums.com for more detail on this, but bear in mind there's also a lot of picky users on there! I read a lot about this and for various reasons ended up getting the model below (43 xf8096) and the black levels are ok to me. Not great but not as bad as the 8505 reviews made out. So I'm trying to figure out if the 8086 has the better panel for this or if they are the same. Also was expecting bad things from the inbuilt Android TV but it's been relatively speedy. It's not an issue for me as I used an Nvidia Shield for everything but it's ok and I haven't even upgraded to Oreo (on the Sony) which should theoretically improve things even more. I have the 55" version of this bought for £599. Black levels really aren't good. Not sure on the term but there is a lot of light bleed particularly visible on the Netflix startup screen where the image is predominantly black. A positive for me though is Android which has enabled me to sideload several apps. Nah, they're all TV Vision now. They might have used Vestel in the past. Philips are made by TP Vision. High quality stuff usually. 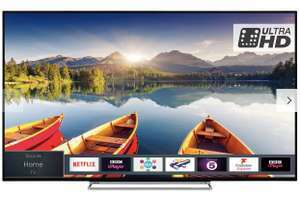 Ginormous mahoosively big LG 65UK6300PLB UHD 65 inch 4k UltraHD TV for £549 AO on eBay Use code PRO10 to get this price. What's the warranty on this 1 please? This seems to be the cheapest 65" around. Does this have voice control as really want that. So fed up having to use 3 different remotes every time I turn the TV on. Hi, thank you for sending this through. Is there anyway you can show me the full receipt blanking out any personal details will try a price match with John Lewis. Thank you!! I have an old lg 4 years old no problems at all! &#x1F60F; That's a deal breaker for me unfortunately. Cheers. What's the warranty on this 1? The things I like on the NU8000 is the black top and side bezels and the centre TV stand but for this price, I'm happy with it. I have rang RS again and they priced matched Crampton and Moore eBay listing of £999 and with the eBay maximum discount of £50 and their £10 off price beat, making it £939 so I have placed an order. I'm pretty sure that Richer Sounds would normally refund you the difference if you find a cheaper price within 7 days of ordering from them as long as the cheaper supplier offered a 5 year warranty and had stock. I guess time will tell! That was my own justification to buy the tv now rather than later! Will be a bit gutted if the price drops to £1,700 next week though. But.... I think that's unlikely. To add, JL only price matched to £1999 for me (the District Electricals price plus postage). Thanks alexc100, you could be right but they have been selling the 2017 B7 models still haven’t they? if they could sell it for 1700 months ago, I’m sure it can still come down, it has been this price for ages. I’m not sure if 2.1 is worth the wait? I don’t have an Xbox or 4K blu Ray player. I’m stream all my content so having a HDMI 2.1 socket isn’t going to improve my TV viewing. Ooh thanks for that, just reading up on it now, bugger I was looking at getting the 2018 LG C8 or the Panny when the prices come down as the new models are being released, I can’t now wait for the new models with HDMI2.1 to come down lol OK more reading to do, thanks for the heads up..
Never miss a '65 inch TV' deal again! So you have been lucky so far. I wouldnt want to risk it. Have you played with the settings, many people watch TV on default settings. Tinker with the advanced pic settings. I have several settings saved, one for dark moody dramas. Haha that reminds me, my cousin's Labrador was watching birdies in Our Planet on an LG C8...then ran away when he saw polar bears! There's a freakin' Leopard in my garden!!!!!!!!!!! If only I could take a photo that justifies how good the picture on this tv is.....? Another option, 1: Choose a nice clear day. 2: Clean a window in your house extremely well on both sides. 3: Look through it to the outside. This is the best comparison I can make. Thanks for the pics. Great practical example of how good this TV is. Right, this is to prove how good the picture is on this set, even the cats think it's real life. Picture quality not the best as I'm shaky but these nature programs in 4k are absolutely stunning! This is only Virgin media streaming too, Planet Earth 2 in 4k disc format blows me away. Looking fake from the eBay page. Try code OLED200 to get it for £1999. Do you have the £75 code for Richer Sounds please? Thank you. So, JL are knowingly undersold! Nah I'm not saying that,I cannot say as I don't make quality classification for the warehouse ,I was just pointing out that it seems largely irrelevant (unless it's marked as poor,then it's obviously got something easily identified as a problem).I've had loads n loads from the warehouse,and the "crap" is few and far between. So instead of as new condition would you say it's better to go for good condition? Cracking TV,and good android interface ,(even the naff update that's messed with my layout)mine was used -good from Amazon warehouse,it was unopened when delivered. I've had plenty of "like new" from Amazon that are definitly not "like new". Beware LG, I bought a LG49UJ651V from Argos 14 months ago. It developed what, at first. were small deep pink patches on the screen just after the guarantee ran out. The patches continue to spread and now occupy the top right hand quarter almost completely and other patches are steadily and relentlessly growing. I'm pursuing a claim under the consumer protection act 2015 with Argos as that states goods have to have a 'reasonable' length of life. I don't think 14 months qualifies as that. Beware !! I was the same with my 60 inch plasma but trust me when it does and you replace for what’s on offer you will realise the picture quality, colour you’ve been missing out on. Even a cheap 4K set will outperform it in every way. Costco has one of the most generous return policies in the retail world. You can basically return anything you've purchased at the warehouse club at any time for a full refund — except for electronics and major appliances which have a 90-day return policy with receipt. If purchased with a credit card then it's up to the credit card company to resolve. But never buy with debit card. I know Costco only accept American express which is a pain but it gives you coverage. Unlucky you’re stuck with that - must use a lot of electricity (500watts !!! I have this in 43. It's good tv. Slow accessing smart features. It's been 15 months and it's starting to give problems. Not playing media slow to navigate menu guide. Sound is terrible though. 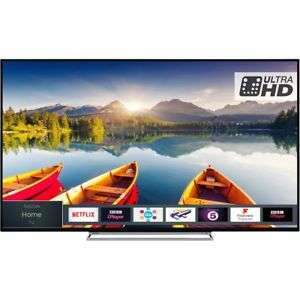 https://www.hotukdeals.com/deals/wow-65uk6400plf-65inch-lg-4k-tv-629-at-argos-3106718S Same telly, 6 months ago, £30 cheaper, voted cold. What changed? no it's still an LCD panel that makes the picture, it can be backlit several ways but it is still an LCD screen responsible for the picture.